So you’re on the lookout for tactics to draw in more customers through an effective digital marketing campaign. Maybe you’ve been focusing your efforts on digital marketing and website optimisation, which have yielded good results. But have you tried optimising your email marketing tactics? With email being one of the most effective online customer acquisition methods, you could achieve even better results with an improved email marketing strategy. 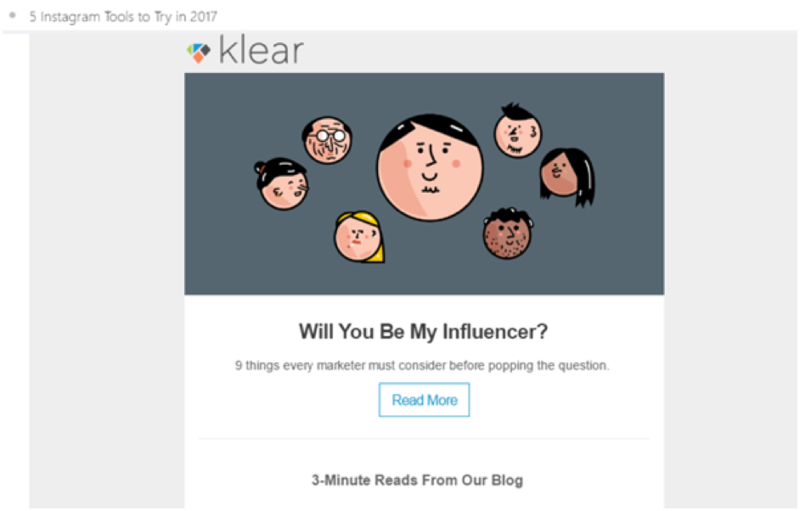 When someone decides to subscribe to your marketing emails, make sure you engage them from the start. It’s common knowledge that you should send a welcome email to your new subscribers. But don’t wait too long to send yours. You may want to send it a few seconds, minutes, or hours after they hit the subscribe button. Either way, the ideal timing for welcome emails is on the same day as the initial subscription. Smytten sends out welcome emails on the same day a user signs up for their app. 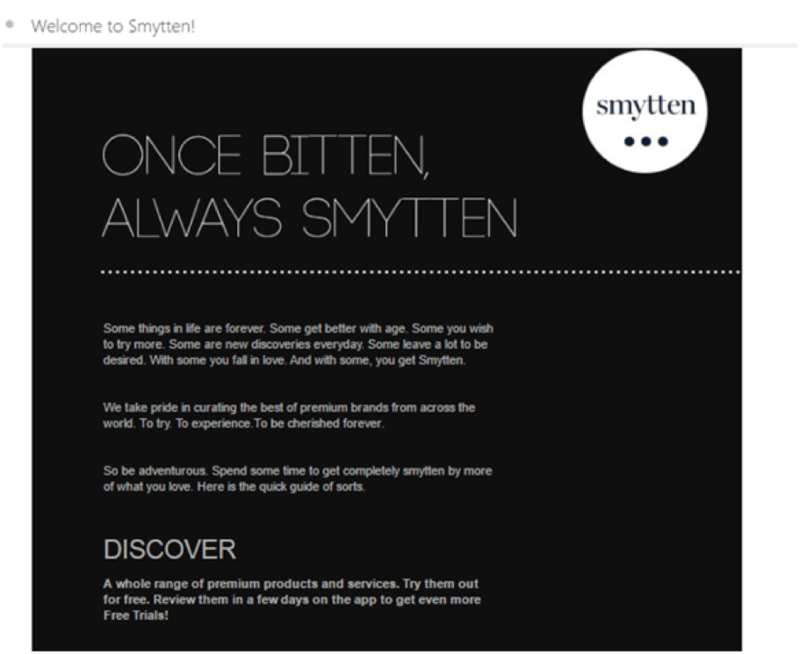 The email contains a quick guide to the app, and reminds the user what they can do using Smytten. This is an excellent way to start engaging your new subscribers as you’re helping them get to know more about your service/business/products. 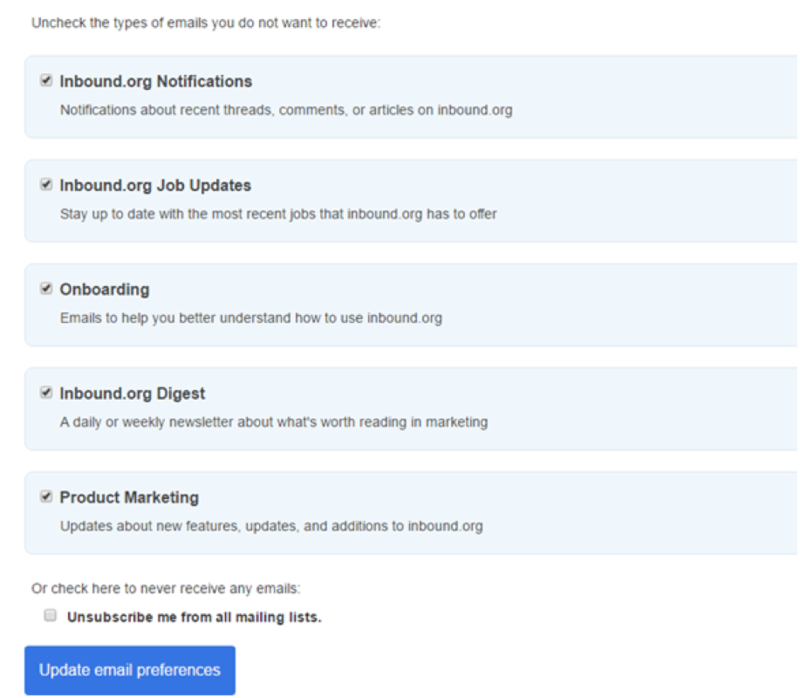 Inbound.org gives their subscribers an option to update their email preferences. As you can see in the screenshot below, subscribers can opt in for certain types of emails that are relevant to them. Through this, Inbound can avoid spamming their subscribers’ inboxes with irrelevant updates. Think about yourself as the recipient when you’re trying to come up with an effective subject line. Come up with a few drafts, and ask yourself if each of those subject lines is relevant to you and stirs your interest. And instead of beating around the bush, make sure the subject clearly conveys the content and purpose of the email. For normal marketing emails, you could try stirring their curiosity or adding some humour to your subject line. You could even try creating some urgency to compel recipients to open the email. 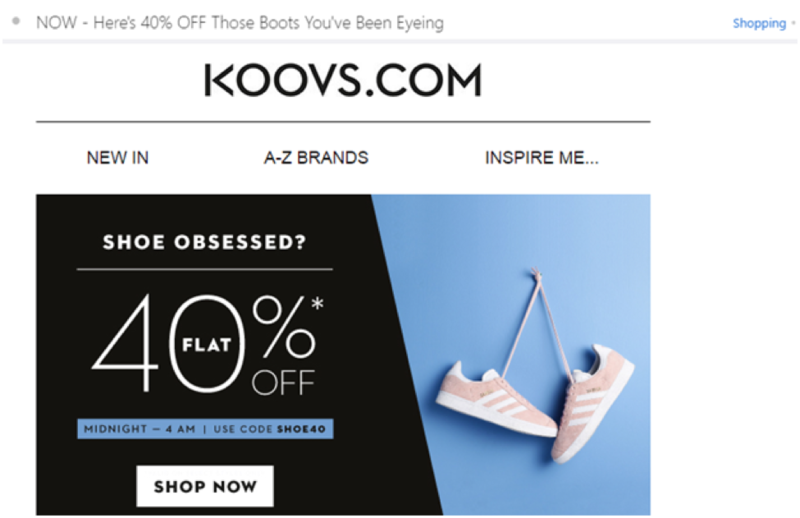 Indian eCommerce website, Koovs does a great job with their marketing email subject lines. As you can see in the screenshot below, the subject line is casual and it gets straight to the point telling the recipient about a 40% off deal for shoes. The way the sentence has been framed is as if it’s a conversation between friends. Here’s one more example, where they’ve used a pun to add some humour to their email subject line. 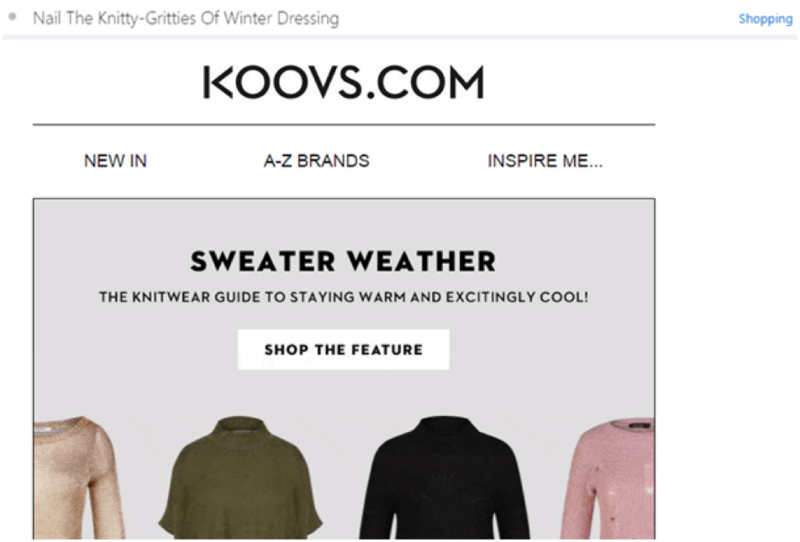 The subject line invites recipients to nail the nitty-gritty of winter dressing, but they’ve replaced “nitty” with “knitty.” The wordplay is perfect as the mail is intended to promote winter clothing such as sweaters. But even without witty puns and humour, you can still grab the attention of your audience through your subject line. 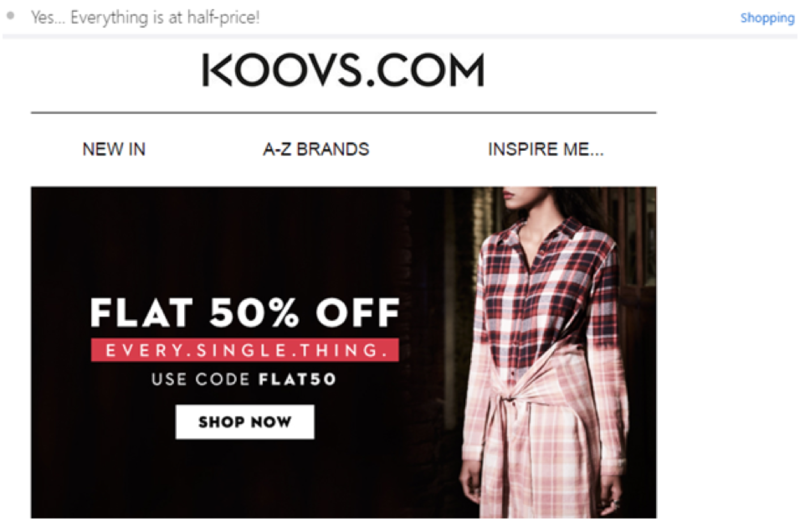 For example, something as simple as, “Yes… Everything is at half-price!” could stir the curiosity of the recipients and compel them to open the email. Whichever subject line you choose, consider A/B testing your subject lines to ensure that your ideas are increasing your open rates. Along with the subject line, the sender name of an email plays a crucial role in making a first impression. Emails coming from a “No Reply” email address may seem impersonal, and may not do much to help you with marketing. Instead, keep it personalised by including the name of an actual person. Using an individual name as a sender name can add a human touch to your marketing emails. But some businesses and brands opt to send marketing emails using their company name to maintain reliability. They may feel that subscribers will be more likely to open those branded emails than emails coming from some person they’ve never heard of before. 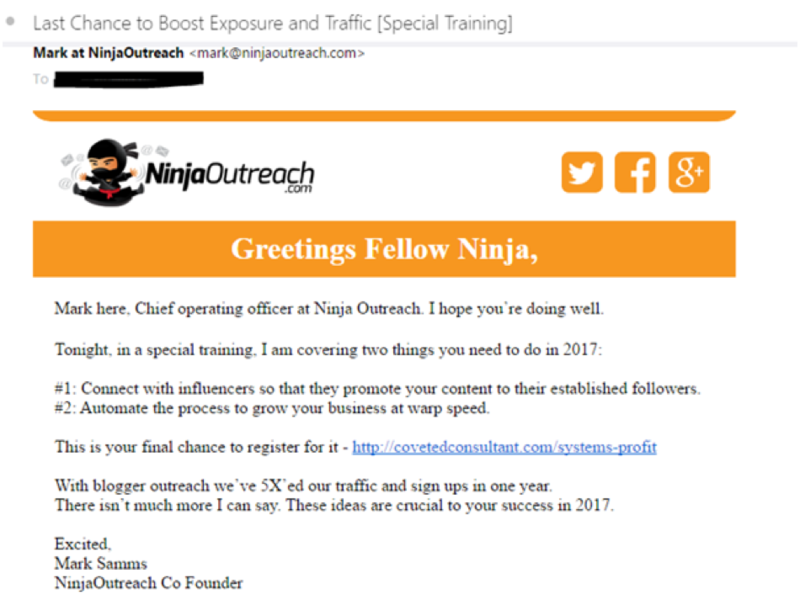 And NinjaOutreach newsletters and updates come from, “Mark at NinjaOutreach.” Using an individual name can add a human touch to your interactions. Including your company name reassures recipients that the email is coming from a reliable source. So you get the best of both worlds by combining the two. 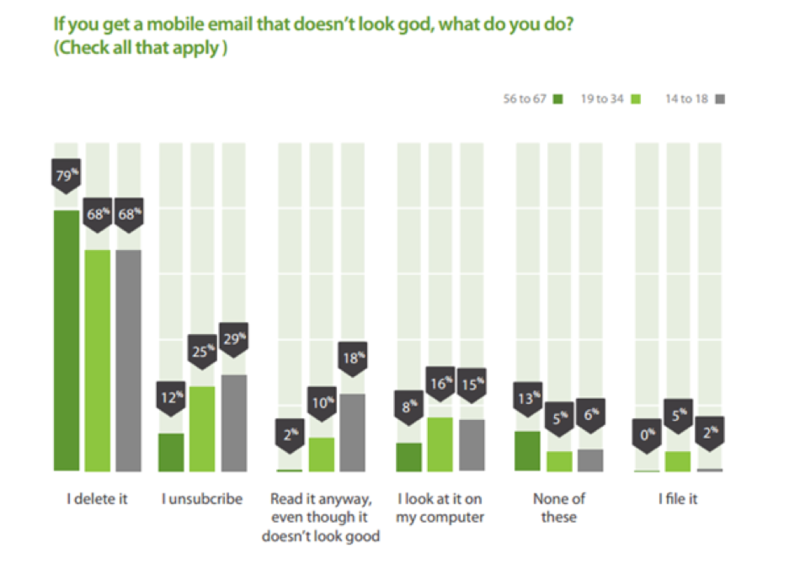 Are you creating marketing emails with mobile users in mind? Litmus conducted a study of 13 billion emails around the world and found that 55% of emails are opened on mobile devices. This can only mean that businesses need to optimise their marketing emails so that mobile users can easily open and view them. Just put yourself in the shoes of the email recipient. You’re going through your inbox, using your phone, and you find an email that intrigues you. But when you open it, you realise that the design does not look good at all. Some of the images won’t load, the buttons don’t work, and you have to zoom in to read some of the text. What would you do in such cases? Would you delete the email? You may even be frustrated enough to unsubscribe from the mailing list altogether. A 2016 study by Adestra found that a majority of people across all age groups would delete an email that doesn’t look good on mobile. Maybe you’ve constructed the perfect body and subject line for your marketing email. But if you’re sending the mail out when a majority of your recipients are inactive, you might be unable to get optimal opens. To ensure that you get more email opens, try to choose the right timing to send out your emails. There are conflicting opinions about the best day and time to send marketing emails. But an analysis of 10 studies by Coschedule has concluded that Tuesday is the best day of the week for sending out your emails. This is followed by Thursday and Wednesday. And the best time of day to send emails is 10 AM, followed by 8 PM to midnight, and then 2 PM. While this is the case, it would be best to experiment with different days and times when sending out your emails. This can help you determine the best timing to reach your audience and generate high-quality leads. You may be regularly updating your subscribers with the latest products and deals. But are they taking the desired action? It’s not enough that you send out your updates. You need to make sure that your audience takes the next step – whether it’s to read your latest blog post or to buy your latest product. This means you’ll need to come up with a killer CTA (call-to-action) that compels readers to take action. Instead of putting your call-to-action as just a link, create a CTA button to include in your emails. It could say anything from, “Start Shopping,” to, “Grab Your Deal” The rule is to keep it short, and straight to the point. 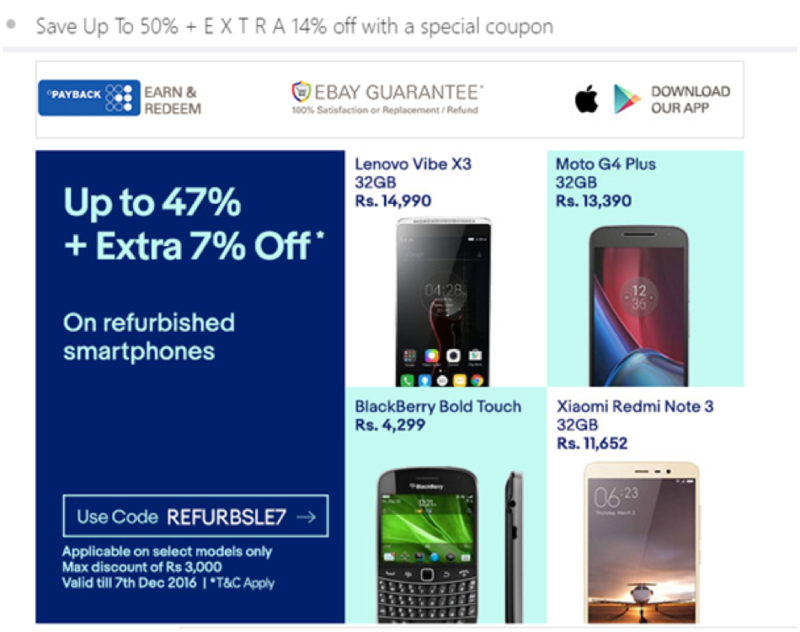 When eBay sends out exclusive coupon codes for discounts, the CTA button includes the special code people can use for an extra discount, and invites recipients to use the code. Now you have a clear understanding about some of the best ways in which you can pull off a better email marketing campaign. The tips given in this post will help you create more effective marketing emails, and engage your audience better. Got any of your own ideas to add to the list? Feel free to share your thoughts in the comments. And if you have any questions about how to rock your digital marketing campaign, you can always get in touch with me. This guest post is written by Shane Barker, a digital marketing consultant that specialises in influencer marketing, product launches, sales funnels, targeted traffic and website conversions. He has consulted with Fortune 500 companies, influencers with digital products, and a number of A-List celebrities.